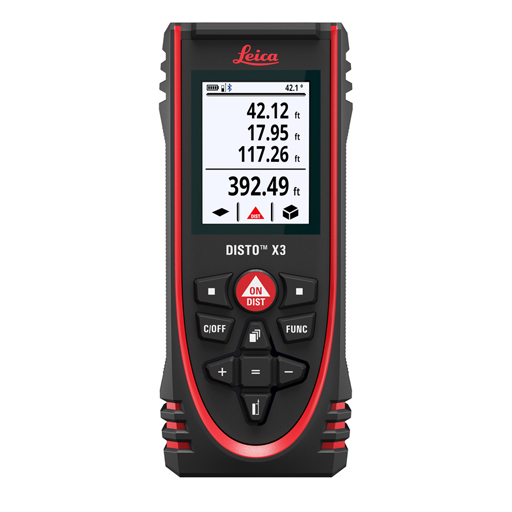 The Leica DISTO X3 is perfect for tough construction site conditions. It is drop-tested up to 2 m in height, water jet and dust protected to IP 65 standards. Easy to use buttons and functions make working with the DISTO X3 fast and intuitive.